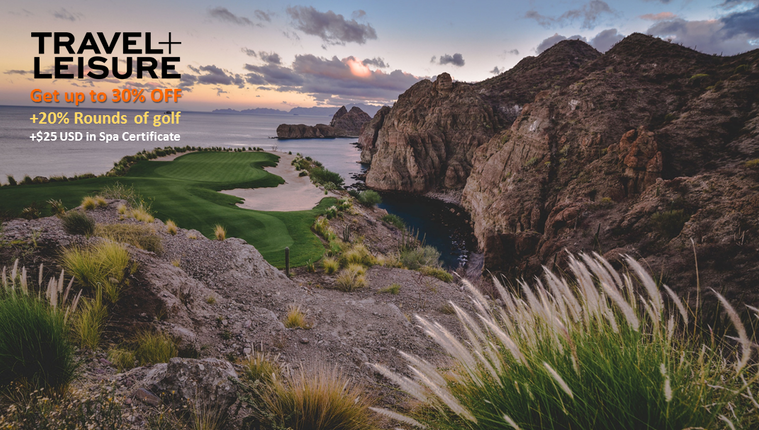 Take advantage of exclusive discounts for Travel + Leisure subscribers, which include up to 30% off your stay and other benefits, such as 20% off on rounds of golf at TPC Danzante Bay, and a $25 USD certificate to be used at the Sábila Spa and Welness Center. When you combine the best of the travel industry with Villa del Palmar at the Islands of Loreto, the results are oh so rewarding! Promotion valid from February 1st until May 31th, 2019 for travel from February 1st until December 20th, 2019 at Villa del Palmar at the Islands of Loreto. Offer valid on European Plan (Room Only) only. This offer is subject to availability at the time of booking and is not available on group reservations. This offer may not be combined with other promotions and is only valid on new reservations. Stop Sell and Blackout dates apply. Villa del Palmar at the Islands of Loreto reserves the right to alter or terminate this promotion at any time. Other restrictions may apply.